As a realtor, your mission is to help your clients purchase a house they can call a home, at the fairest price possible. Here at Detailed Home Inspections, we know that you can have nightmares over the condition of the house. As one of the Raleigh – Durham Triangle area’s most established home inspection companies, we can offer you and your clients the peace of mind you deserve. Detailed Home Inspections provides exceptional value to real estate agents, in three important ways. First, we are recognized in our industry as a leading firm. Our president Eric Coates is also currently the president of the NC Licenced Home Inspector Association — an organization that is dedicated to providing service to its members’ clients and resources to consumers. Every home inspection we conduct is based on the Standards of Practice, established by the NC Home Inspector Licensure Board. You can have confidence we will do an exceptional job of assessing the true condition of the home we are inspecting. Second, we present our findings fast and in an easy-to-read report. A frequent comment we receive from real estate agents is that our reports are thorough, well thought out and easy to read. You can see a sample of our reports to judge for yourself. You can be sure that our findings are clearly communicated, in a way that you can confidently present to your client. Third, we provide additional resources that will be of value to your client. Our innovative Home Protection Services Program provides our clients with warranty notifications, home repair & improvement resources and access to home security services. We’re established. We’re experienced. We’re experts. 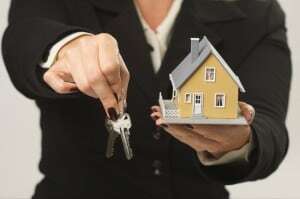 And we are committed to making your job 0f buying or selling real estate as easy as possible. We want to be the trusted home inspection professional that you can turn to in your service to clients. Since 1997 we have performed thousands of home inspections in Raleigh, Cary, Wake Forest, Apex, Holly Springs, Fuquay-Varina, Durham, Chapel Hill and throughout the Triangle area. We welcome the opportunity to work with you. In addition to home inspections, Detailed Home Inspections can help you with framing/pre-drywall inspections, radon tests, well inspections, septic inspections, and termite inspections. Please be sure to keep us in mind, when current or former clients contact you with these needs. You can schedule an inspection here, give us a call at (919) 706-0098, or send us an email at inspect@detailedhomeinspections.com.